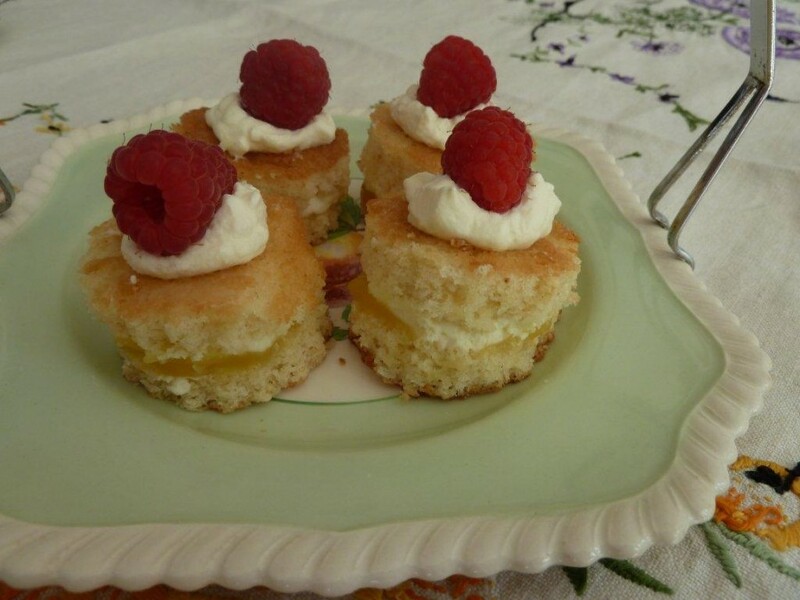 ‘Lemon Drops’ – light sponge cake, filled with fresh homemade lemon curd and cream, topped with a little more cream and a raspberry, perfect on a hot summers day – delicious! Rain, heavy rain, light showers, more rain. No surprise our little ones are getting a bit of cabin fever. Trips to the park are off the list, as is playing in the garden that now resembles a pond, and if I have to sufferthe indignity of trying to squeeze my Mummy body up and down through the soft play maze one more time I may be forced to emigrate. The summer holidays haven’t even begun and the children are getting fed up. Drawing, sticking, teddy bears tea parties and den building have served us well, but just aren’t cutting the mustard anymore. 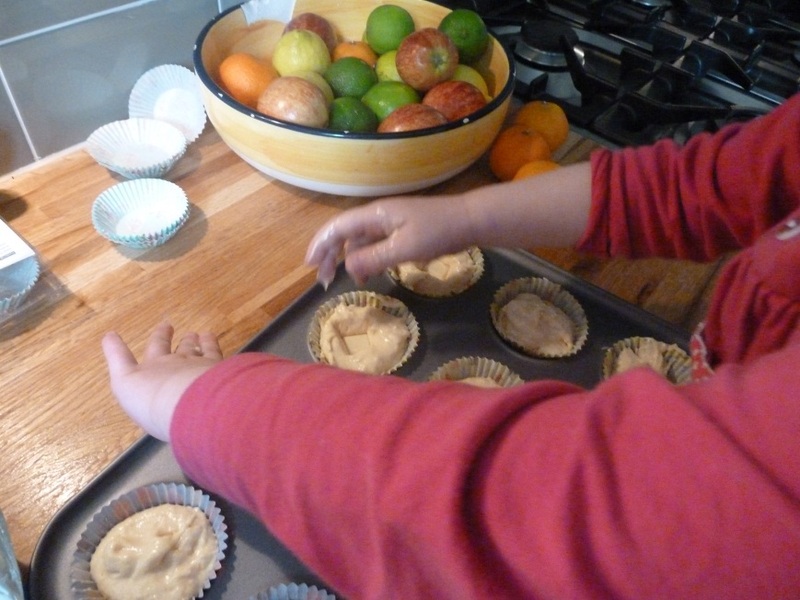 Time to mix it all up with a bit of kiddy baking….yes I know it’s messy, a little frustrating (they probably won’t do it like you would) and won’t necessarily result in something you would feed your mates, but they love it! 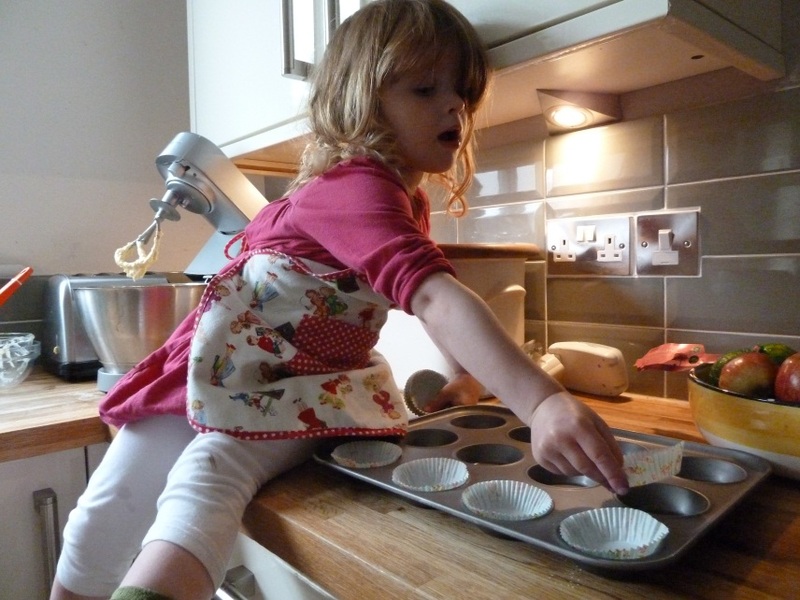 Not only do they enjoy it, but it’s a great chance to teach them something new…weighing ingredients, counting out cupcake cases, learning new words…when else will they learn about ‘whisking’ and ‘sieving’? There are lots of simple recipes that are great for baking with kids, some more suitable for slightly older kids, but there is something for everyone. 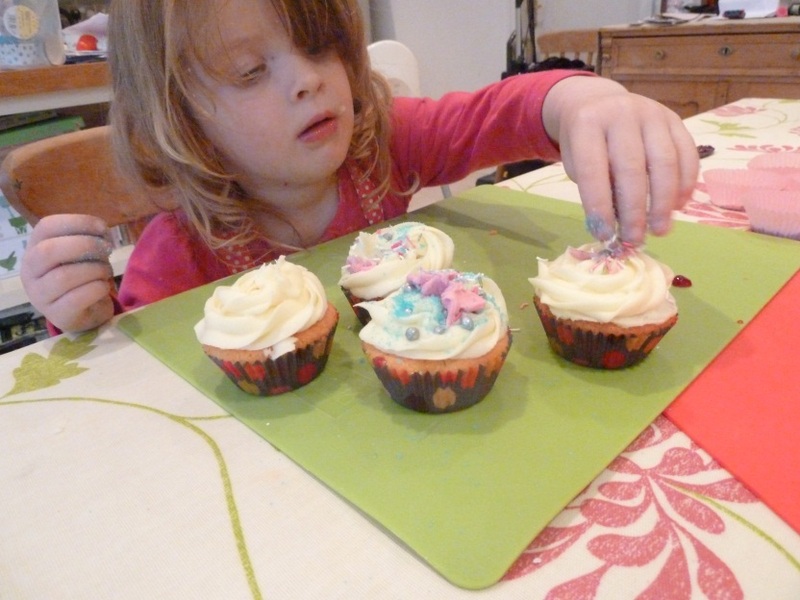 For the older kids make cupcakes, cookies and flapjacks, with the little ones chocolate dipped strawberries, cupcake decorating (bake them yourself first), even icing and decorating plain biscuits goes down well. If they like picking the food colouring off the shelves try making your own playdoh in the colours they choose, they will love to watch as the gooey mixture turns to what they recognise as playdoh. 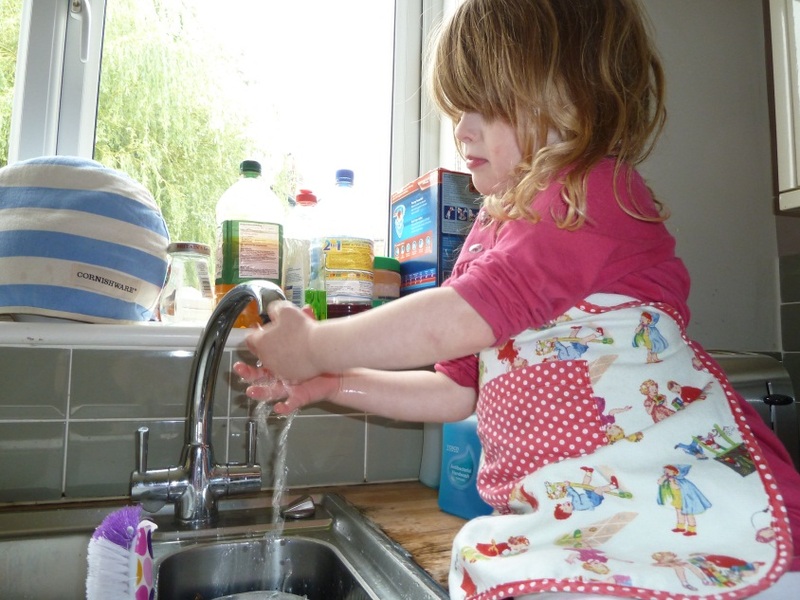 Hand washing to get us started…. Topping the cakes…actually tasted very good! All in all a SUCCESS!! A bath was required and the kitchen needed a scrub down, but we were happy! If you fancy giving it a try here is the recipe we used, a few ideas for variations and some thoughts to help you survive your afternoon baking. Cream the butter and sugar together until light and fluffy. Lightly whisk the eggs just to break them up, then add in the vanilla extract. Slowly add the egg mixture to the creamed butter and sugar. Sieve the flour on to the top of the mixture and pour on the milk. Gently mix together until fully incorporated. Spoon the mixture into the cupcake cases (cases should be about two-thirds full) and bake in the centre of the oven for 18-20 minutes. Leave to cool completely and decorate with toppings of your choice. Buy ready-made fondant icing, roll out and use a cutter to make circles to place on top of the cakes, then decorate with little flowers or hearts and edible glitter. Make some vanilla butter icing and pipe in large swirls onto the cakes; decorate with smarties or anything you like. Cut out a little sponge from the top of the cake, fill with jam, replace the ‘lid’ and cover with icing. For a chocolate surprise filling push a square of chocolate into the centre of each cupcake just before you put them in the oven. Start with a shopping trip – take your little ones to the baking aisle and let them choose some cake decorating bits and pieces – most supermarkets have a great selection of coloured icing, cupcake cases and decorations. Perhaps set a limit to how many items they can choose. Whilst you are there you can get a bit of your weekly shop done too. If your children are very young weigh the ingredients yourself and set them aside. Let them have a go at breaking an egg into a bowl, then press on with your ready prepared ingredients (perhaps even make them yourself first and just let them do the decorating). Try and stay relaxed – the kitchen will be a mess (probably a complete right off), the kids will lick the bowl and try to eat all the decorations before you get started – just enjoy the chaos – there will probably come a time when they won’t want to spend a minute with you near the oven. 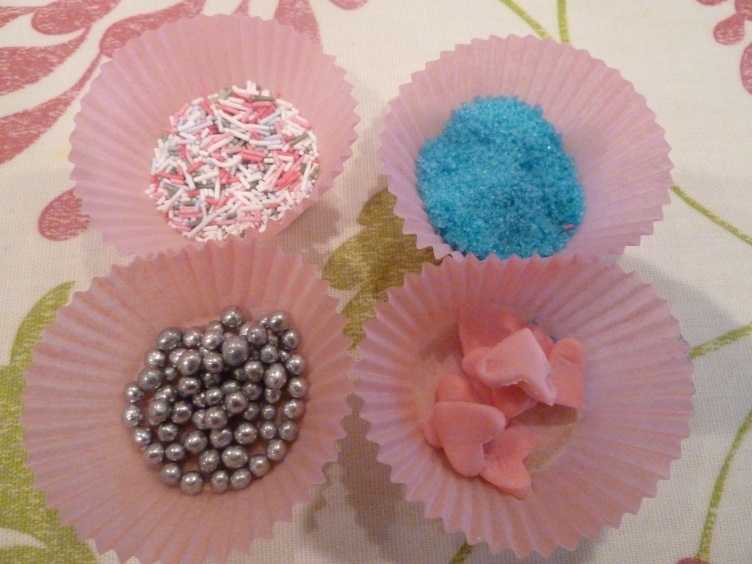 Decant some of the decorations into small cupcake cases – this will stop them going wild and will hopefully limit the mess. Give it a go and send us your photos…if not of the kids, at least of the mess they create! Alice’s Vintage Pantry had a whole day away from baking this week to browse some of Manchester’s vintage shops. 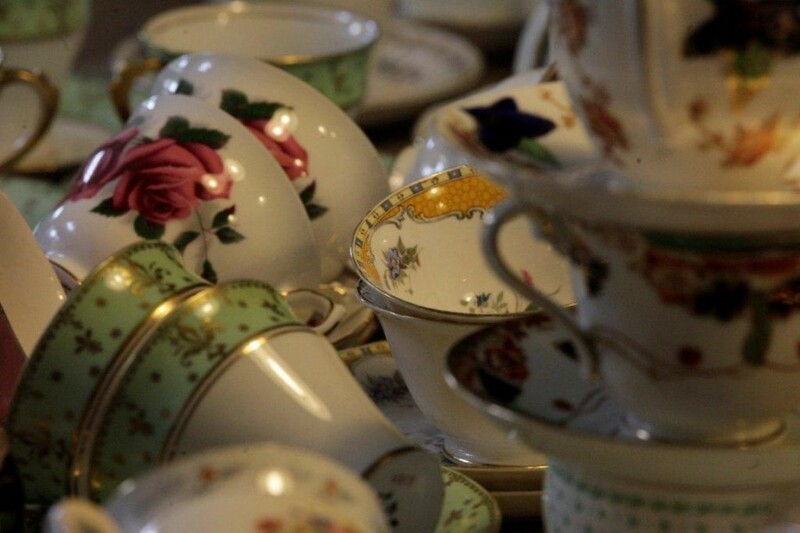 Luck was on our side and we found some beautiful pieces to add to our extensive vintage china collection…couldn’t wait to share some of them with you…. 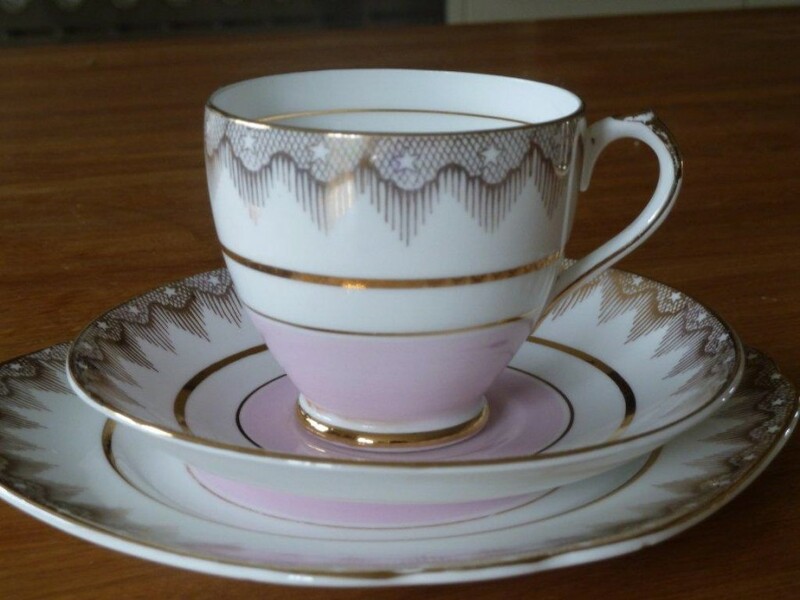 Vintage teacup, saucer and tea-plate (otherwise known as a ‘trio’) – beautiful gold detailing. 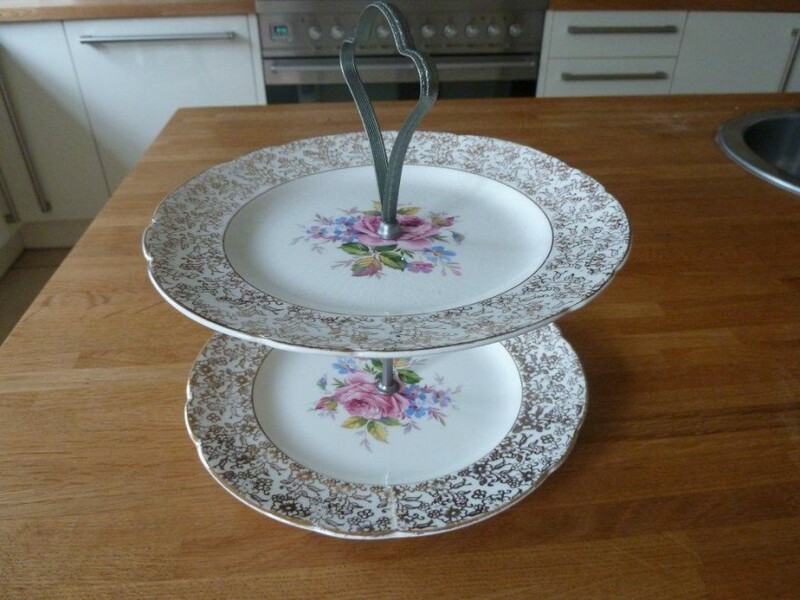 Two-tier cake stand – this is going to look beautiful filled with scones and finger sandwiches. To find out how you can hire these pieces and many others click here to send us an email or call Alice on 07890 090547. 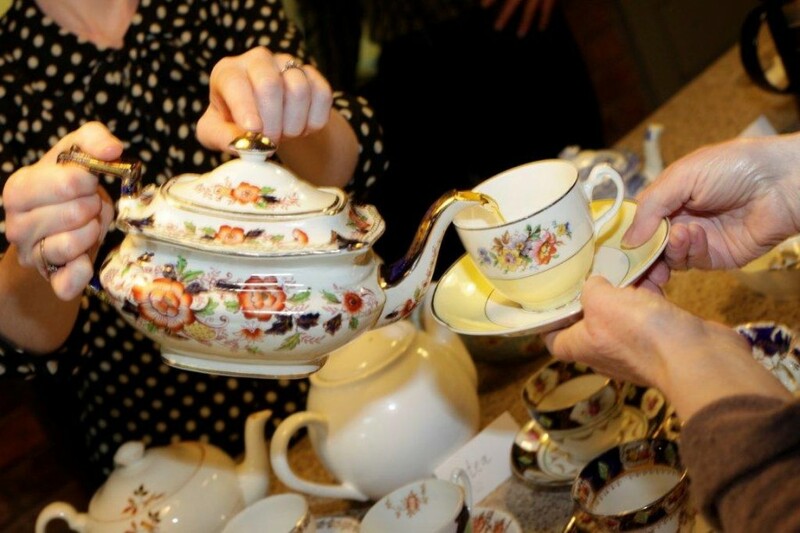 We are constantly adding to our vintage china collection – visiting charity shops, car boot sales, antiques fairs and vintage markets – its always exciting getting up early to have a browse, you never know what you might find. 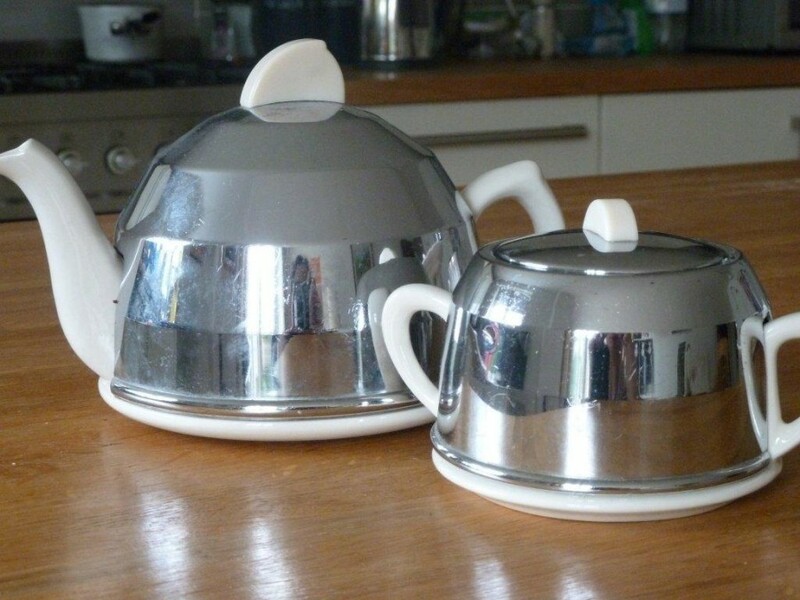 Today was an especially exciting day…we took a family trip to a local vintage market(in South Manchester) and came home with three fantastic teapots along with some other bits and pieces. 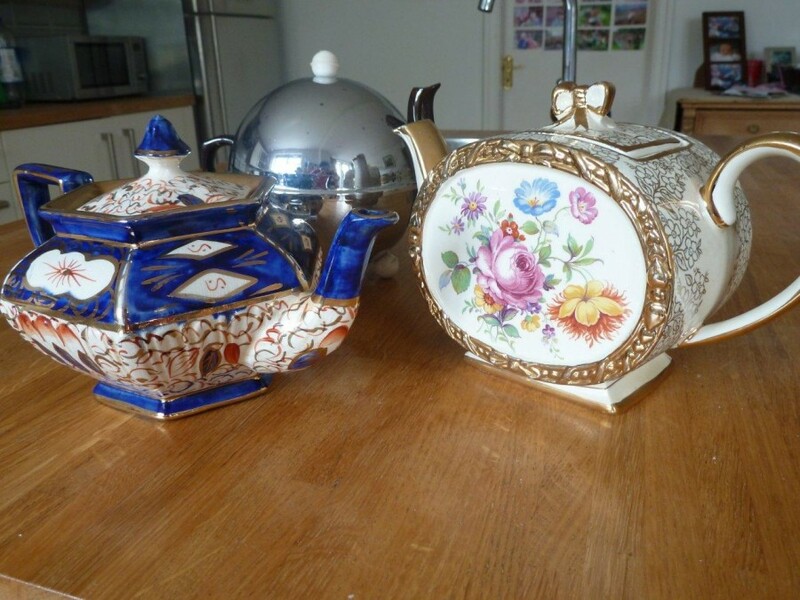 Good quality vintage teapots are quite difficult to find and can be very expensive, so to walk in to a vintage market and find these three sitting together was a real treat. The afternoon has been spent trying tea from them all whilst deciding which is our favourite. Really hard to choose because all three are so different. 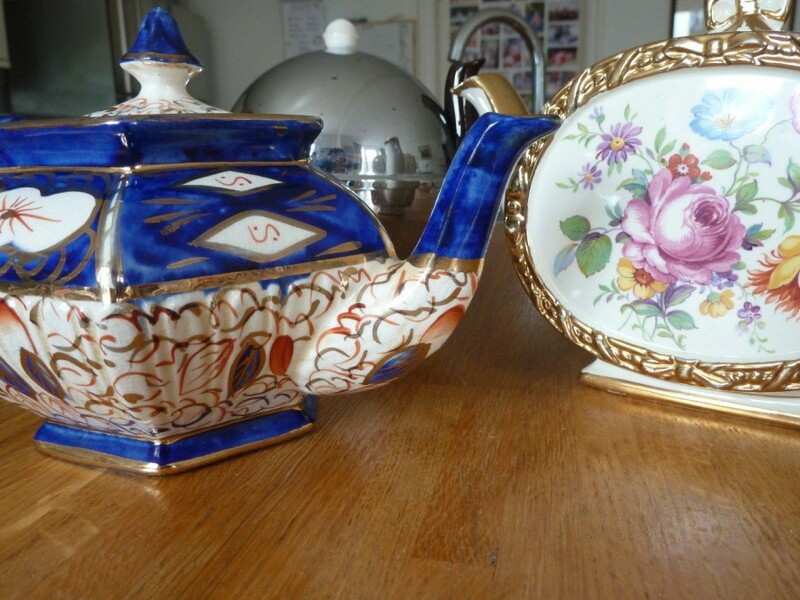 The unusual shapes of the cream and gold ‘Sadler’ and the blue and gold ‘Arthur Wood’ nearly grabbed my vote, but when it came to it I couldn’t resist this cute little brown teapot that comes tucked up warm in its own shiny metal tea-cosy. 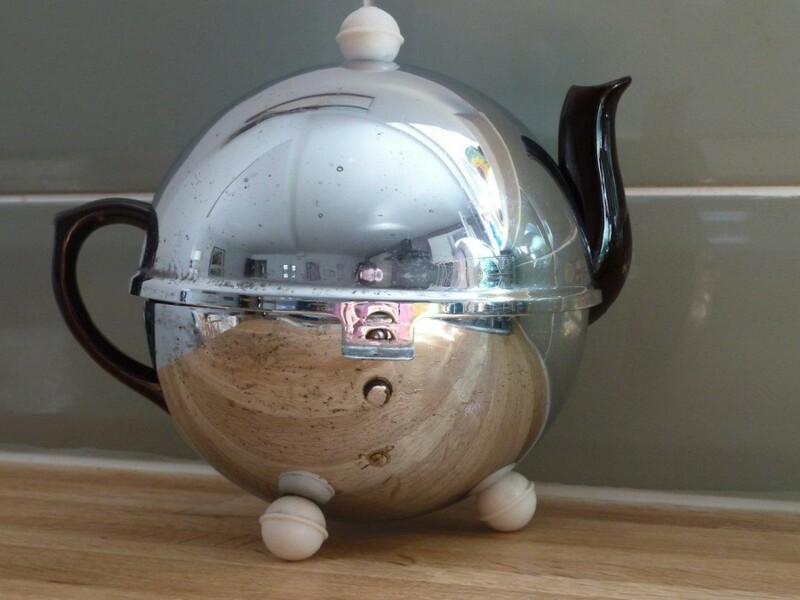 The metal cosy is lined with insulation to keep your tea extra warm…now that is a perfect vintage teapot. To see more of our vintage china collection take a peek around the rest of our website and if you would like to hire the vintage china for any occasion get in touch. 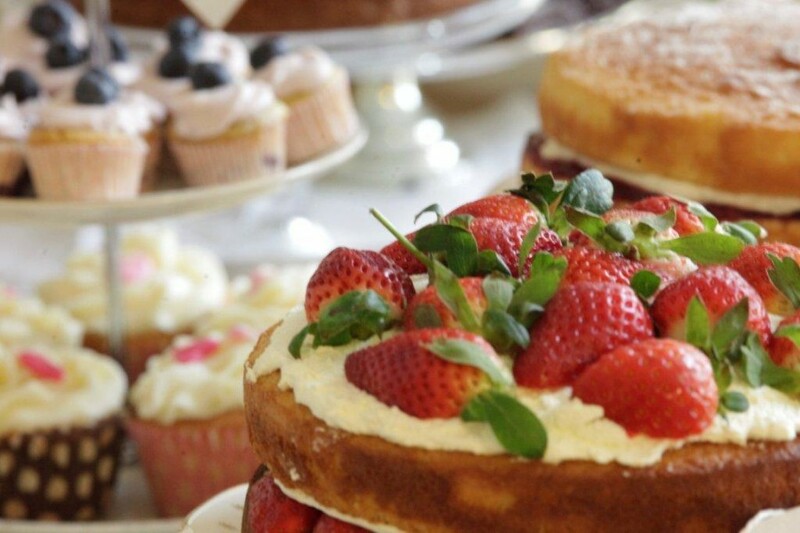 How Versatile is a Vintage Tea Party?! There is nothing like a vintage tea party for versatility: pretty vintage teacups and saucers, embroidered table linens and exquisite vintage cake stands are admired by all the ages (especially the ladies); gooey cakes, tasty finger sandwiches and scones served with plenty of clotted cream are popular with everyone (especially the men and children); and there are not many who don’t like a proper cuppa made with loose leaf tea and poured from a vintage teapot.